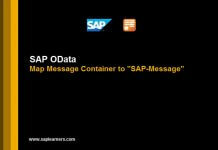 Hello everyone, in this Netweaver Gateway tutorial we will learn how to use Deep Insert in SAP netweaver gateway OData service. 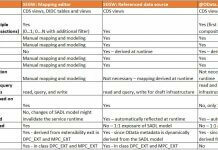 What Deep Insert in SAP OData service does ? Deep insert is used to POST the nested structure of feed/collections to the back-end system.It is opposite to the $expand in which we GET the nested structure of collections. By implementing this you can reduce the no.of OData calls made to the SAP Netweaver Gateway server. Entity sets which are used should be associated. To know about Association in OData service click here. 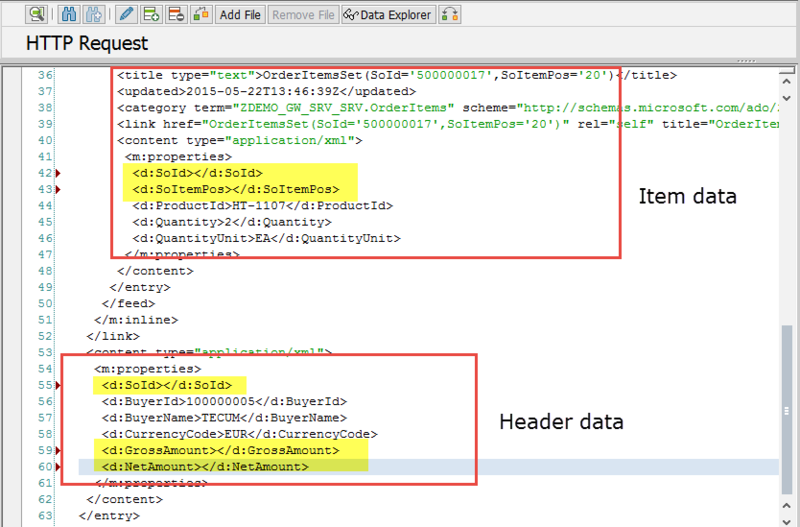 Create a Sales Order header together with the items with in a single OData service call. 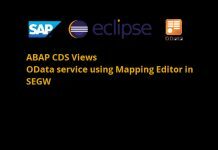 How to Implement Deep Insert in OData Service ? The Deep Insert is implemented by using the method CREATE_DEEP_ENTITY. Prerequisite: You should create a OData service to support $expand which is explained in my earlier tutorials. Click here to access the tutorial. 1. After successful creation of OData service in SAP Netweaver Gateway system. Go to the DPC extension class and identity the method /IWBEP/IF_MGW_APPL_SRV_RUNTIME~CREATE_DEEP_ENTITY and redefine it. 2. Copy and paste the below code in the method. DATA : BEGIN OF ls_order_item_data. io_data_provider->read_entry_data( IMPORTING es_data = ls_order_item_data ). LOOP AT ls_order_item_data-toordetitems INTO ls_req_itemdata. GET TIME STAMP FIELD ls_itemdata-delivery_date. READ TABLE lt_return TRANSPORTING NO FIELDS WITH KEY type = 'E'. 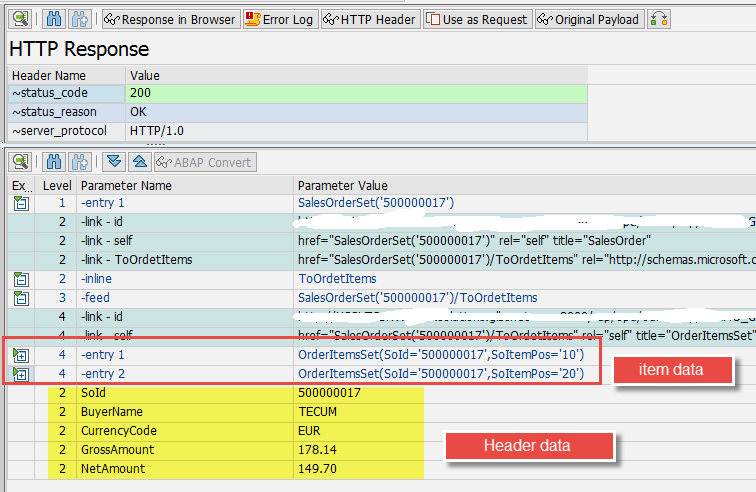 APPEND LINES OF lt_itemdata TO ls_order_item_data-toordetitems. CHANGING  cr_data = er_deep_entity ). Check the Entity set name is same as the Entity set name for which we need to use Deep Insert. 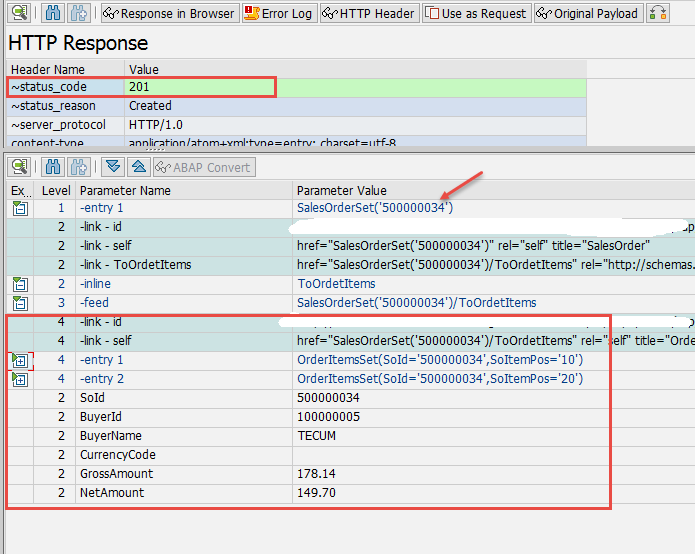 Get the Sales Order Header and item data from the request using the method IO_DATA_PROVIDER->READ_ENTRY_DATA( ). Populate the BAPI structures with the data above retrieved. Call the BAPI BAPI_EPM_SO_CREATE to create the Sales Order with line items. 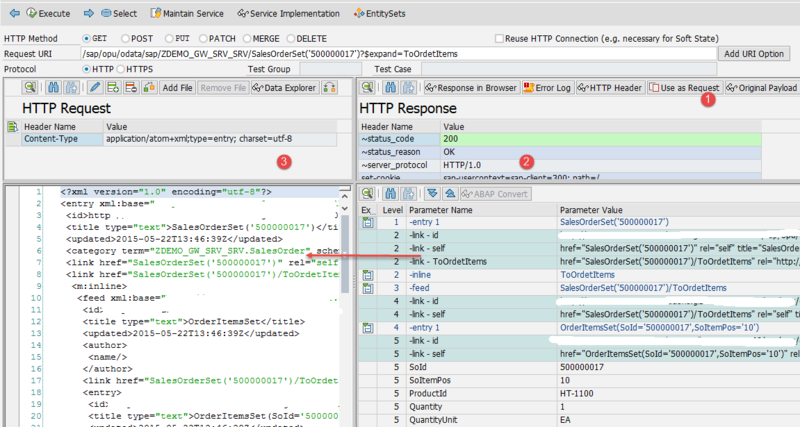 If their are any errors messages in BAPI Return, send them to the OData service response and RAISE an EXCEPTION. If the BAPI ran successfully, get the Sales Order details using the BAPI BAPI_EPM_SO_GET_DETAIL and send them to the OData service response. 4. We are done with coding part. Lets test the service again in SAP Netweaver Gateway Client /IWFND/GW_CLIENT.Call the below OData service URI with HTTP GET, to get the data of any sales order using $expand you should see the below output. 5. Now press the button Use as Request, which exists in the response section in SAP Netweaver Gateway client. All the data from the response will be copied to the request section. 6. In the HTTP Request section clear the Sales order number and line item numbers, as we are creating a new sales order using this data. 8. New sales order will be created and data for the newly created sales order will be displayed in the HTTP Response section like below. You have successfully created sales order with nested structures using the Deep Insert concept tin SAP Netweaver Gateway.